Enjoy seeing the Daffodil Marine Parade from the water without the crowd aboard the Historic Carlisle II! 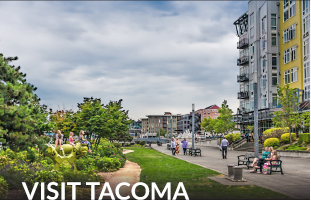 Tacoma's newest waterfront venue is located on the Thea Foss Waterway! We currently have 15 slips reserved for this time. Dock Street Marina is an award-winning metropolitan marina located in the heart of Tacoma’s downtown Museum District on the Thea Foss Waterway. Welcoming yachts up to 120 feet and offering guest moorage and permanent moorage, Dock Street Marina presents world-class facilities paired with superlative customer service and was recognized as the 2009 National Marina of the Year by Marina Dock Age magazine. With line assistance upon arrival, a unique personal concierge service, and a host of complimentary conveniences for guests, the marina is committed to true excellence in customer care. 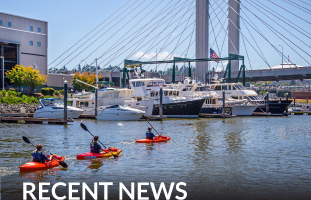 And the marina’s setting is unparalleled: nestled under the shining cone of the famed Museum of Glass in Tacoma’s revitalized waterfront, the marina offers boaters an unforgettable visit in a setting that’s beyond comparison. 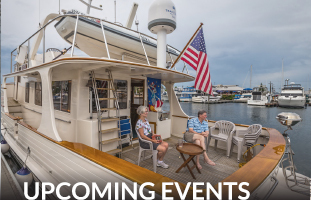 The marina is just a stone’s throw away from a myriad of enjoyable experiences: explore a host of restaurants, shopping, museums, galleries, theater district, nightlife, parks and other attractions—many within easy strolling distance of the docks. Or get a little exercise touring the waterfront’s protected waters with the marina’s stand up paddle boards (SUPs) or kayaks.